Apple smart HomePod speaker is gradually picking up the pace and is working up its way to the true meaning of ‘smart’. The device will be adding support for the stock Calendar app with the arrival of iOS 11.4 in the near future. Spotted by an iOS developer Guilherme Rambo today, the code was slightly tweaked with updated graphics Accompanying Automatic Setup. So let’s dive in to see some more details on the matter. 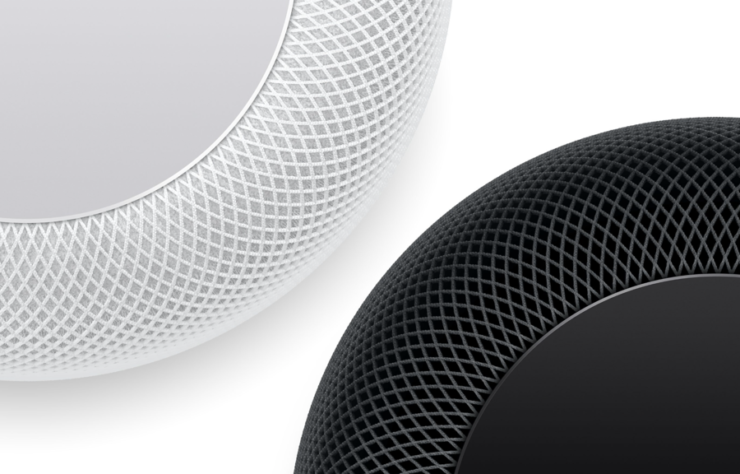 The soon to be added support for Automatic Setup for HomePod in iOS 11.4 will allow users to quickly set up their HomePod for the first time with an iPhone or iPad. As of now, the smart speaker does not allow you to add or remove events from the iCloud Calendar. This is due to the fact that the Personal Requests feature does not have support for the stock Calendar app. There are quite a handful of operations that you can achieve via Personal Requests. Some of these features include sending or even reading the messages out loud, create reminders and notes on an iOS device and more. The Calendar support will be added to the list and by the passage of time, we will probably see more additions. 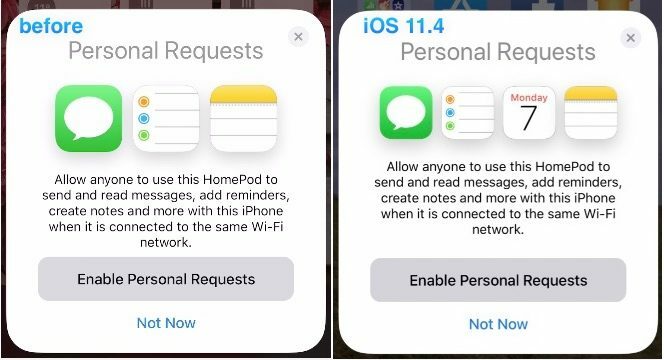 If you have an iPhone running the latest iOS 11.3 beta 3 update, you will see the Personal Request feature showing Messages, Reminders, Calendar and Notes app in the beginning when setting up the device. This shows the arrival of the feature alongside iOS 11.4. Previously, only the Messages, Reminders and Notes app were displayed. Even though the description beneath the icons have not changed that represents Calendar support, the visual novelty is an indicator or the feature to be released soon. Even though the feature is arriving late, we are still glad that Apple is considering it and has listened to the demands of its customers. There will be more to the story, so be sure to stay tuned in for more details. This is all for now, folks. What are your thoughts on the HomePod receiving Calendar support for adding or removing events using Personal Requests? Share your views in the comments.